The taste is fresh, citrus pine, fairly sweet and strong, and the effect is fast. Auto White Widow Cannabis Seeds produce bushy and frosty plants with numerous blooms. She produces strong aroma?s during growth and dense hard buds. The high is a well-balanced and pleasurable one, combining a powerful cerebral impact with a relaxing physical effect ? extremely pleasant. 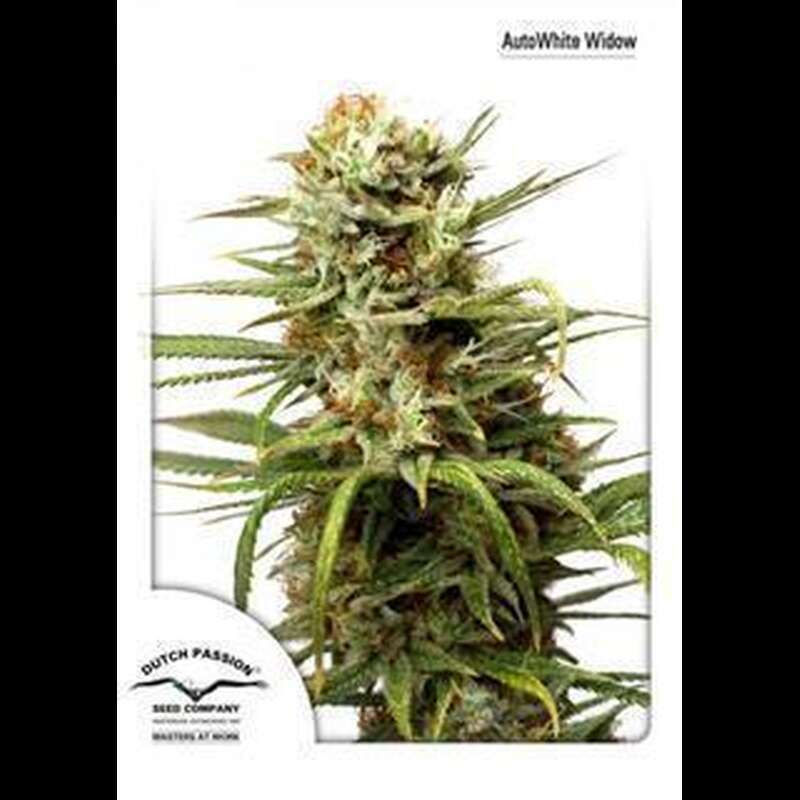 AutoWhite Widow is one of the best auto?s we have developed and is highly recommended for those looking for an easy-growing and powerful auto with generous yields.